Cape Cod served as the backdrop for Kennedy family gatherings over many years. 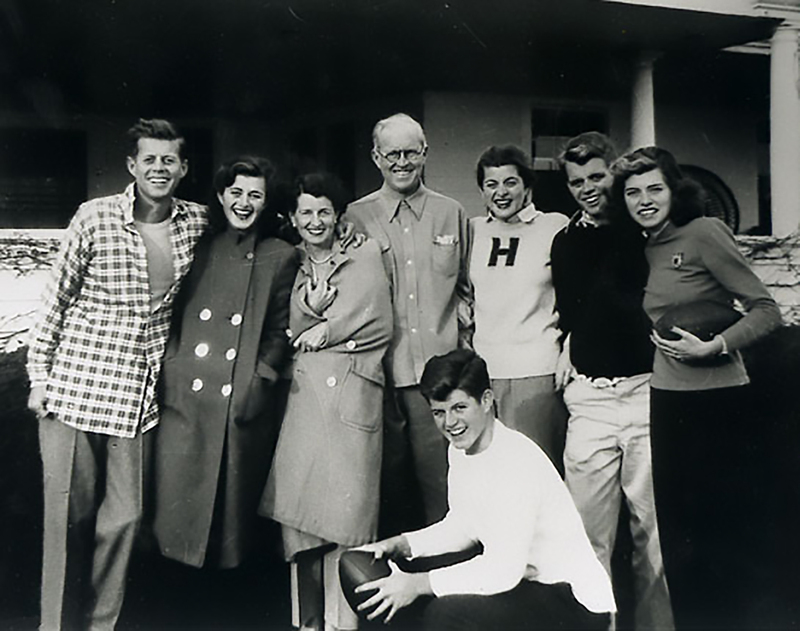 Browse this gallery of Kennedy family photographs taken at the Hyannis Port compound. 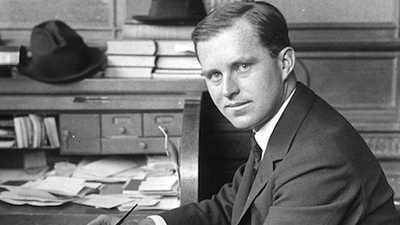 In 1929, Joseph and Rose Kennedy, parents to three future political leaders, bought the summer house they had been renting in Hyannis Port, Massachusetts. In time, their children established homes on adjacent properties. 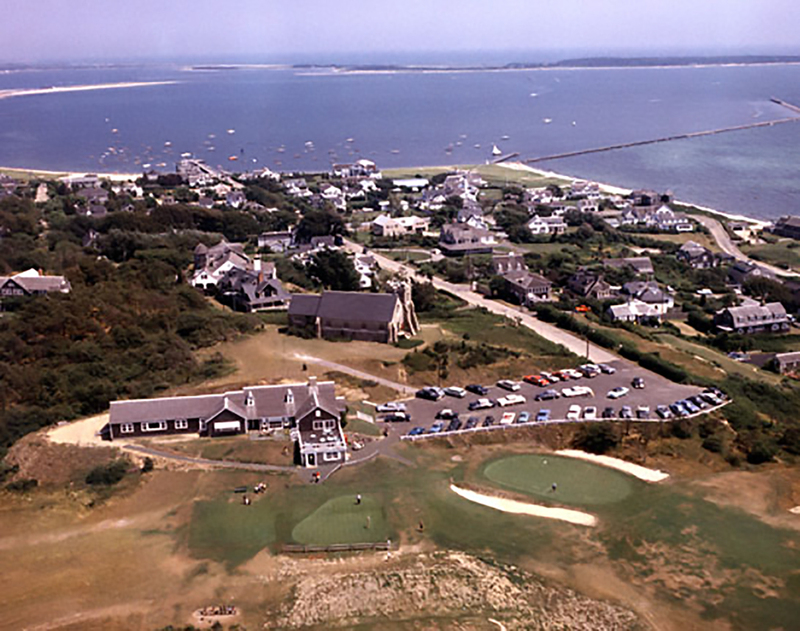 This aerial view of Hyannis Port includes the Kennedy property, near the water. 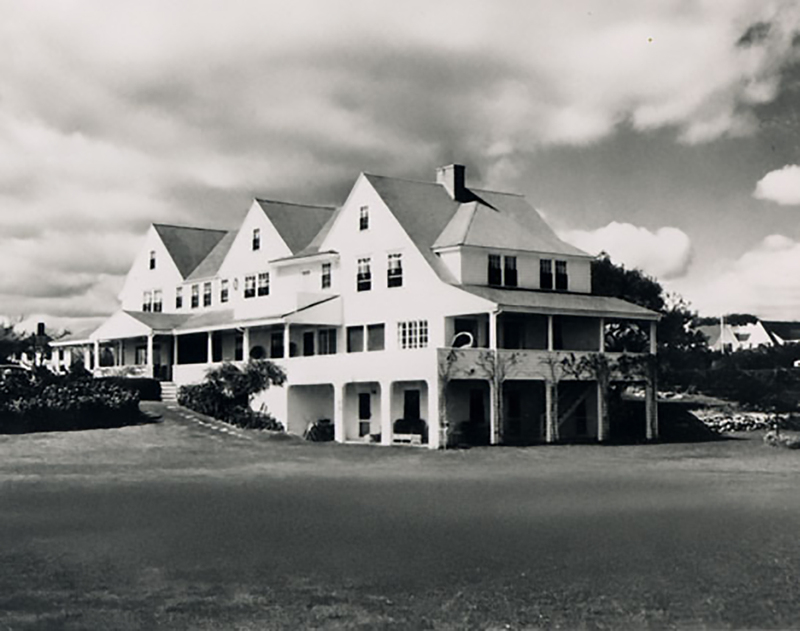 Joseph Kennedy’s house is above and slightly to the right of center, near the jetty, with a flagpole circle on the lawn facing the ocean. 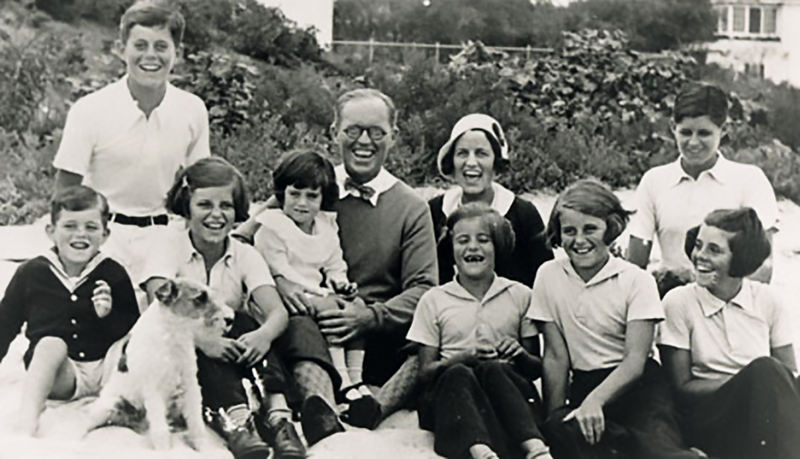 The Kennedy family poses in a 1931 photo (from left to right): Robert, John, Eunice, Jean, Joseph, Rose, Patricia, Kathleen, Rosemary, and Joe Jr. The dog was named Buddy. 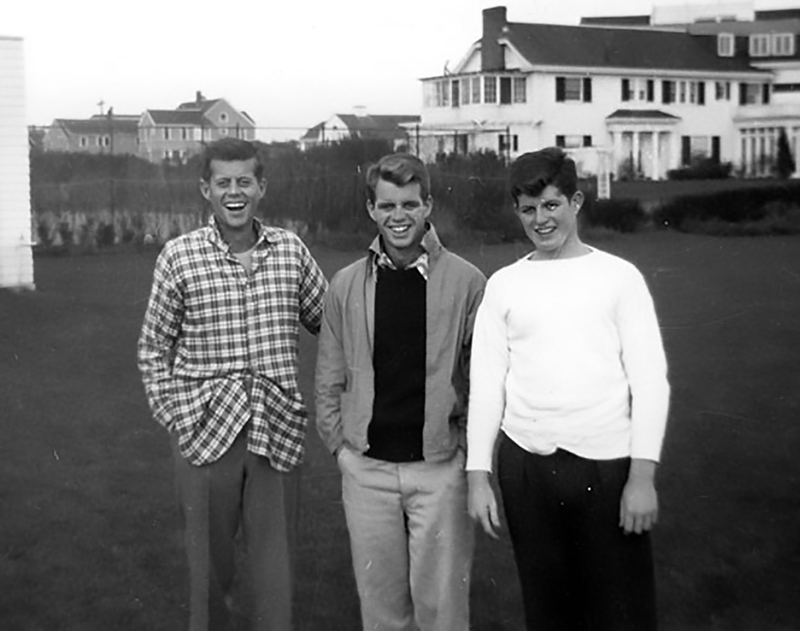 Brothers John, Robert, and Edward Kennedy posed together in 1948. In that year, John was representing Massachusetts in Congress, Robert graduated from Harvard and started law school, and Ted, the youngest in the family, was sixteen. 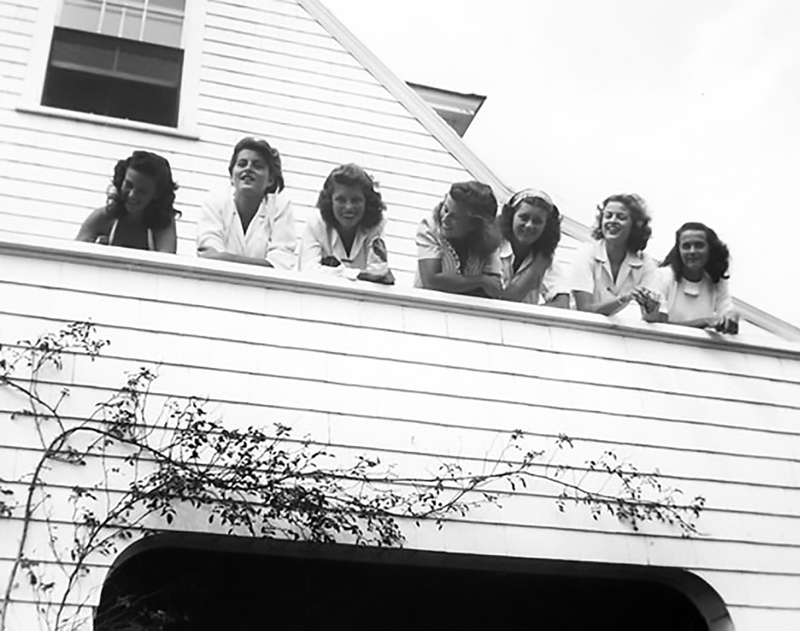 Four of Joseph Kennedy’s daughters pose with friends in this group shot (left to right): Nancy Tenney, Patricia Kennedy, Eunice Kennedy, Kathleen Kennedy, Jean Kennedy, Julia Reed, Kate Thom. This 1948 Kennedy family shot includes (from left to right): John, Jean, Rose, Joseph, Patricia, Robert, Eunice, and Ted (kneeling). 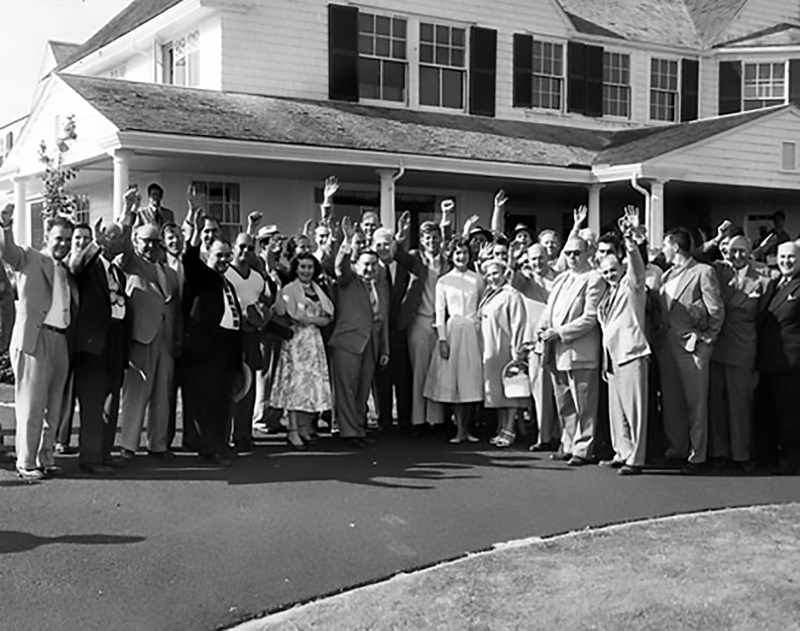 The Kennedys welcomed Massachusetts legislators to Hyannis Port on June 10, 1955. U.S. Senator John F. Kennedy and his wife Jacqueline are in the center, amidst the guests. 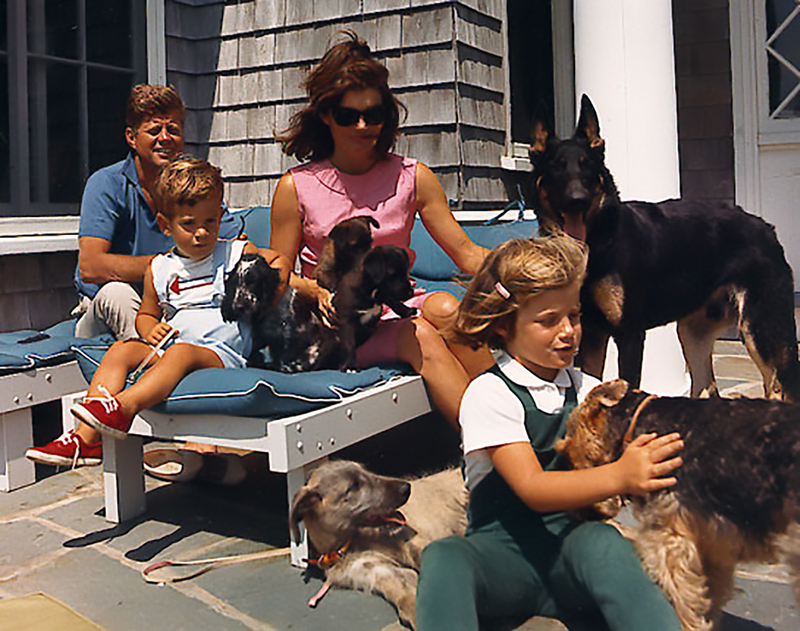 President Kennedy, the First Lady, and their children, John Jr. and Caroline, posed for this picture with some canine friends during a weekend visit to Hyannis Port. 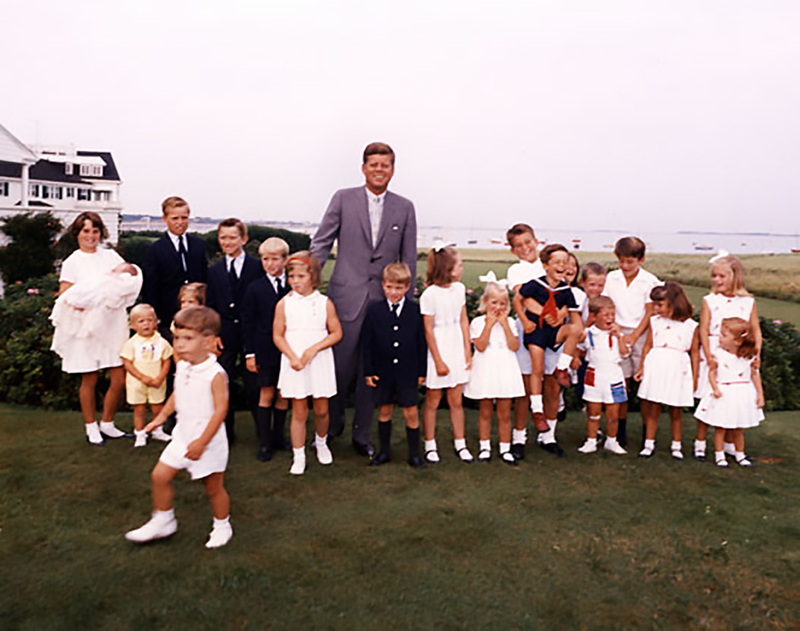 On August 3, 1963, President Kennedy posed with his young children and their cousins (from left to right): Kathleen Kennedy, who is holding Christopher Kennedy, and Joseph P. Kennedy II. In front of Kathleen and Joseph are Ted Kennedy, Jr. and Kara Kennedy (partially hidden.) In the foreground, in front of Ted and Kara, walking away, is John F. Kennedy, Jr. Robert F. Kennedy, Jr., David Kennedy, Caroline B. Kennedy, President Kennedy, Michael Kennedy, Courtney Kennedy, Kerry Kennedy, and Bobby Shriver, who is holding Tim Shriver (in sailor suit.) Maria Shriver (partially hidden,) Steve Smith, Jr, and in front of Steve Smith Jr. is Willam Smith (crying.) Chris Lawford, Victoria Lawford, Sydney Lawford, and in front of Sydney Lawford is Robin Lawford. 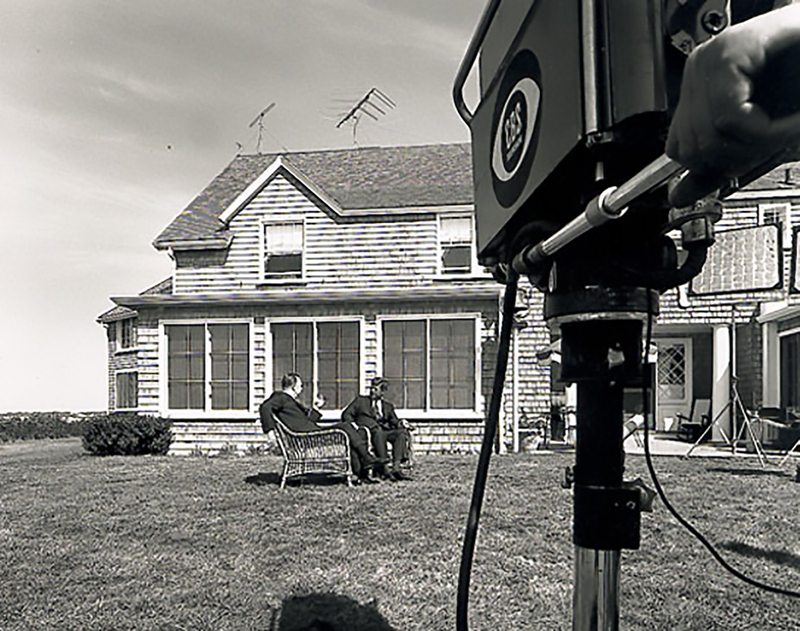 Walter Cronkite interviewed President Kennedy for the CBS Evening News at Hyannis Port on September 2, 1963. 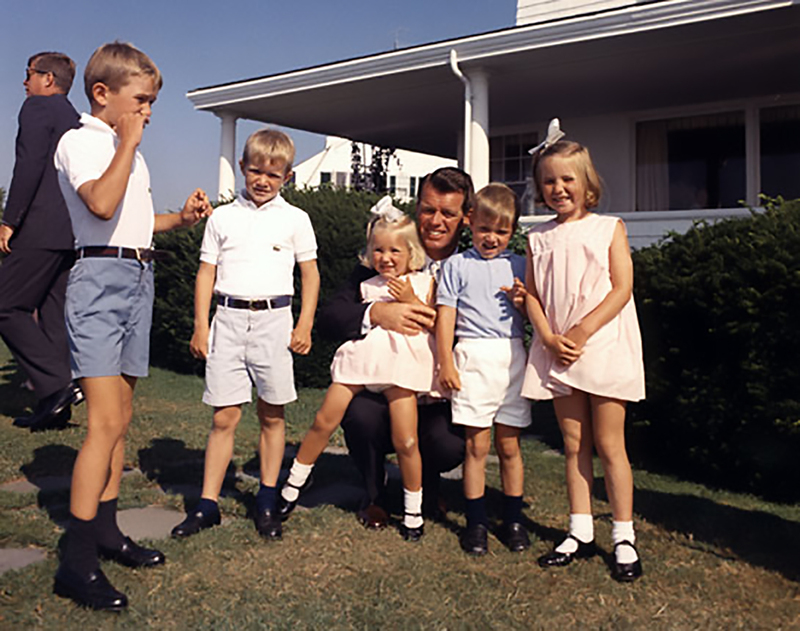 Robert Kennedy, with five of his children (from left to right): Robert Jr., David, Kerry, Michael, and Courtney. 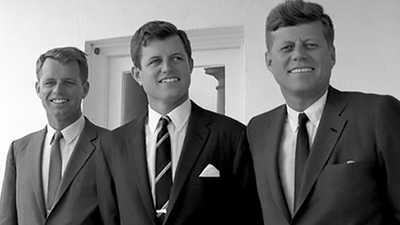 President Kennedy is at the left edge of the image. 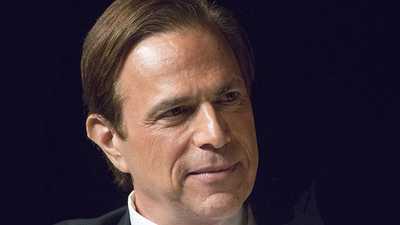 Historian Michael Beschloss talks to American Experince about the Cold War, Cuba, JFK' s private life, and Robert Kennedy's role in American politics.